Where better to hold a team day than in a patisserie? Not just any patisserie, but one that’s attached to a jam factory carrying the Queen’s Royal Warrant. And, better still, one that’s prepared to both feed you and let you loose in the bakery. A tasty plan, cooked up by one of my colleagues. Bravo! That’s how to make friends and influence people. If you’ve ever stumbled down to breakfast in a posh hotel, anywhere in the world, you’re likely to have spread a tiny pot of Wilkin and Sons jam on your toast. Brown or white Sir? Don’t mind if I do. 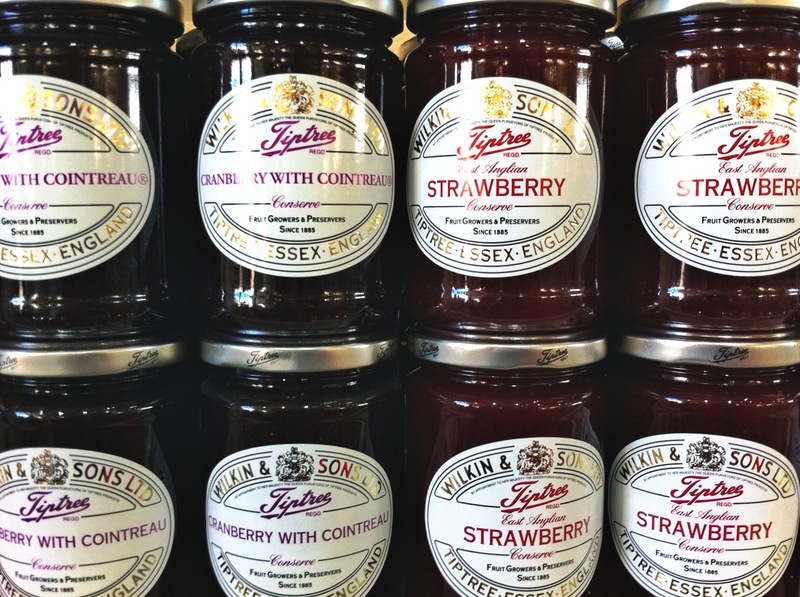 In fact Wilkin and Sons, who have been established in Tiptree, Essex for 127 years, manufacture 60,000,000 of these teeny jars every year, exporting them to over 70 countries around the world. What marks Wilkin and Sons out as worthy of their regal endorsement is that they grow the vast majority of their fruit on farms immediately adjacent to their factory. As soon as you get through the farm gate, there are 40 year old quinces, bent to a 45 degree angle by the storms of 1987, and 100 year old mulberries (Morus alba). 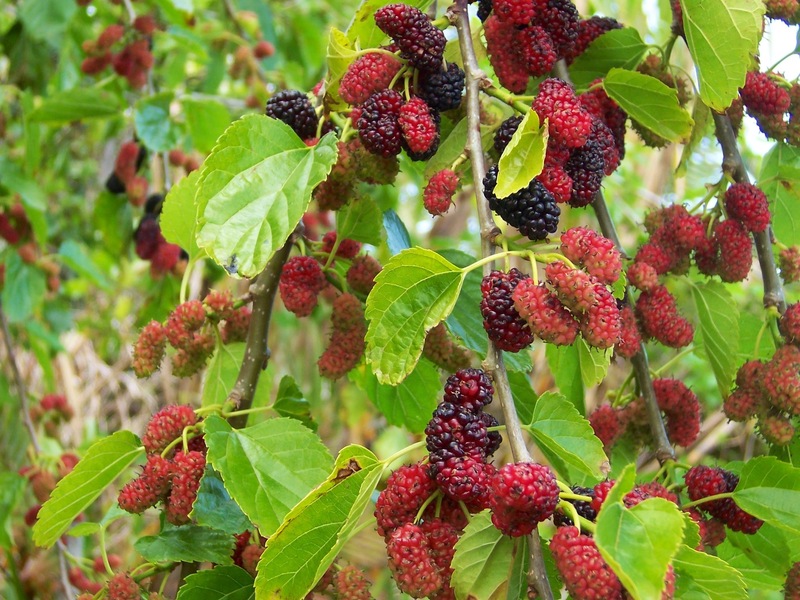 These venerable trees (a mulberry somehow manages to look venerable at any age) produce a tiny amount of fruit, resulting in Wilkin’s most expensive and unprofitable jam. Of course, I had to buy some – at £5.99 it’s still a very affordable luxury. 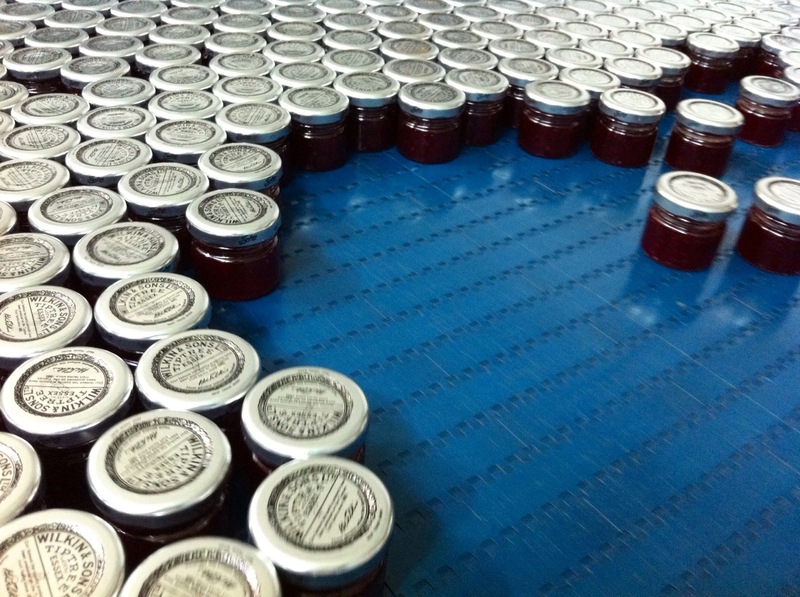 And if the Queen’s favor is not a sufficient guarantee of good quality, Wilkin and Sons also make James Bond’s preserve of choice, Little Scarlet, a jam made in limited quantities from a variety of strawberry imported from Virginia 100 years ago. God bless America. Nearby, fields of rhubarb were amongst the first to show signs of new growth, despite a light dusting of snow. Nothing is forced here and the farm is run according to LEAF guidelines. The cold weather during February already means the earliest strawberries will be harvested in late May – about three weeks later than normal. Wilkin and Sons also count medlars, apricots, peaches, damsons, plums, raspberries, tayberries, loganberries, blackberries and even sea buckthorn amongst their 350 acres of fruit production. 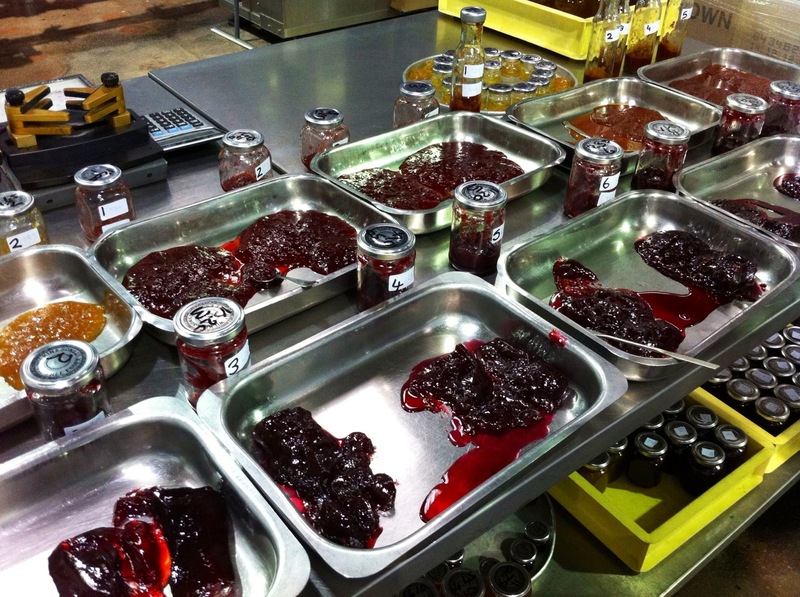 Some berries are frozen in order to spread jam production throughout the year, but one or two fruits just don’t flourish in Essex – notably the oranges, grapefruits and tangerines required for marmalade, and the lemons used in a scrumptious lemon curd. 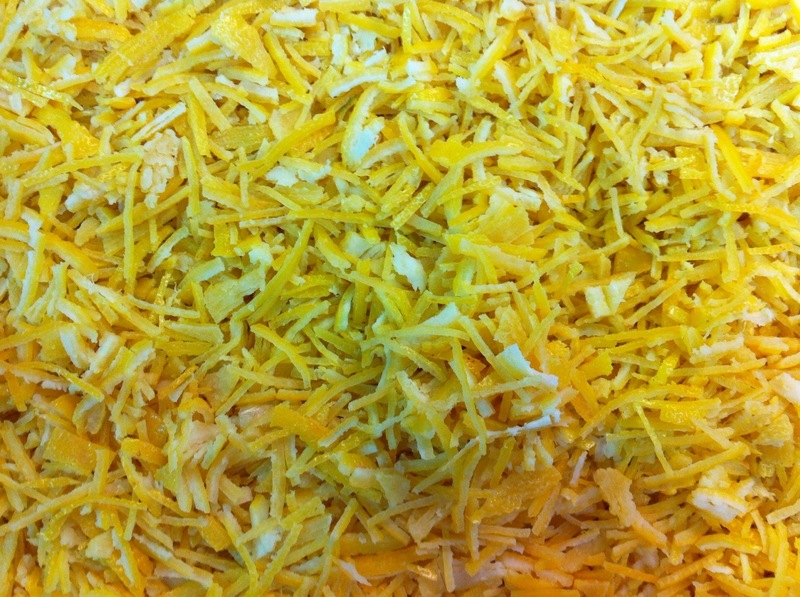 These are all imported, but prepared carefully and labour-intensively by hand. The business is like a family, with workers still counting themselves as “new” after decades of service. Finally, having teased you at the start of this post, I should share what happened when I was let loose in the patisserie. 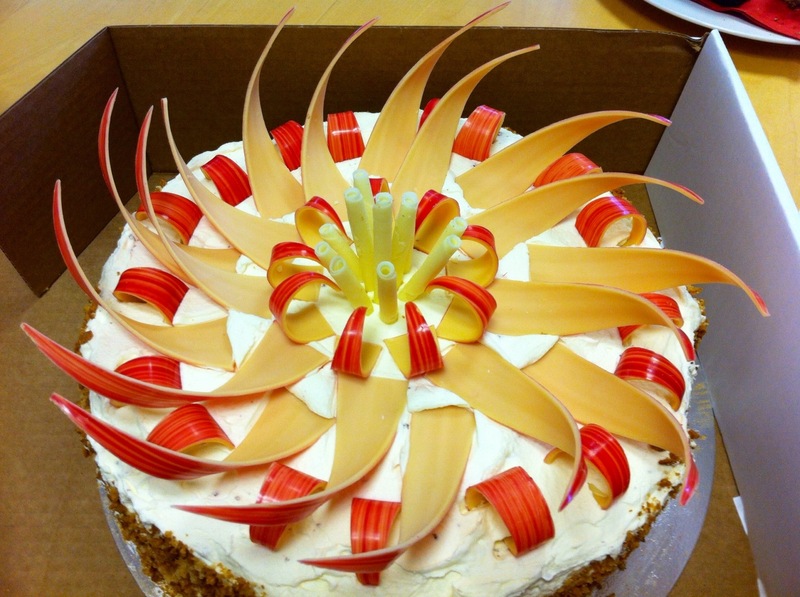 The highest hygiene standards precluded any scoffing or squirrelling of ingredients (mainly cream and chocolate), but we were permitted to create our very own gateaux, mine seemingly inspired by a rather exotic bloom. Perhaps a Protea? I am calling it my “Little Shop of Horrors” cake. Feed me Seymour!